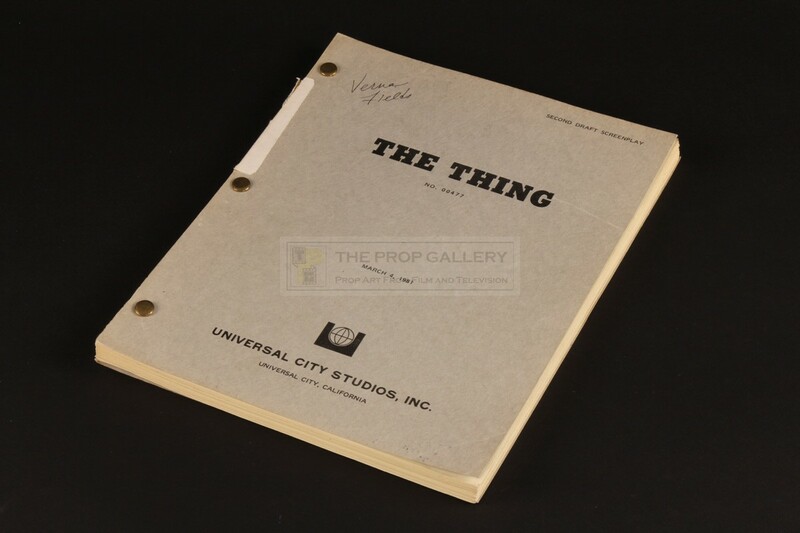 An original script used in the production of The Thing, the 1982 horror classic directed by John Carpenter. 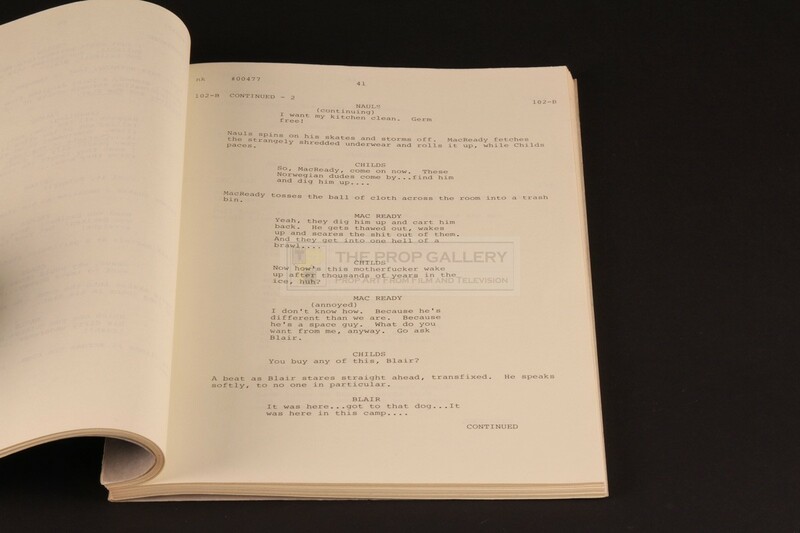 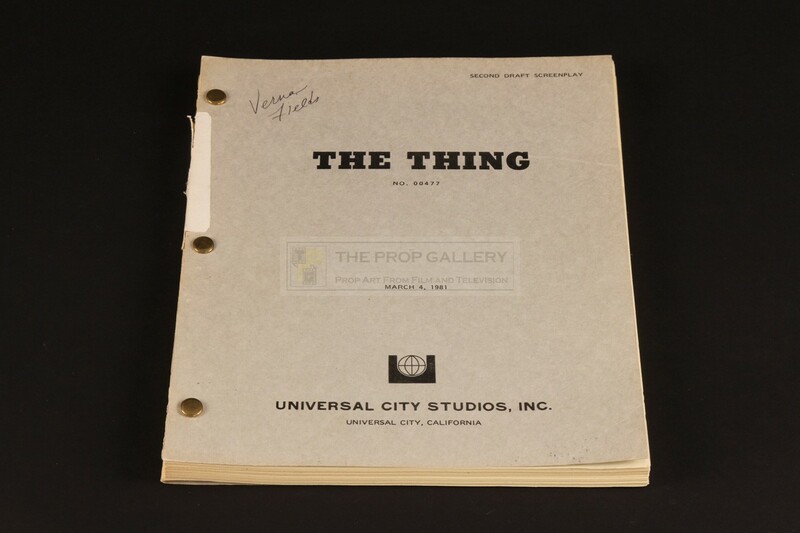 This original production used second draft script is dated March 4, 1981 and comprises of 121 pages bound between front and rear covers of grey card with the cover featuring the title of the movie 'THE THING' in bold type and the studio logo to the bottom. 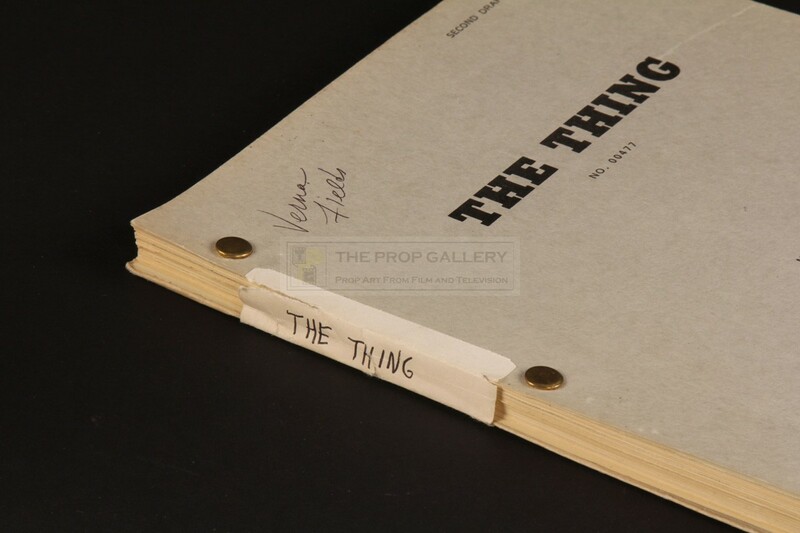 The script features an interior cover page, cast page with brief character notes and and introduction page, it is entirely as issued in March 1981 and contains no later revisions, an applied paper to the spine of the script is hand inscribed 'THE THING' in black pen. 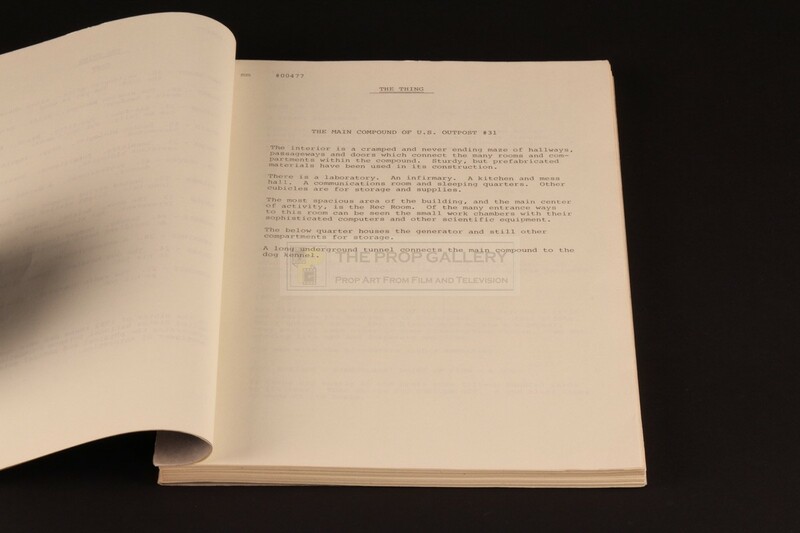 The front cover of the script is signed by, and was possibly issued to, Academy Award winning film editor Verna Fields who gained recognition for her work on Steven Spielberg's Jaws and in later years was a production vice president at Universal Studios, a position she held until her death only five months after this picture was released. 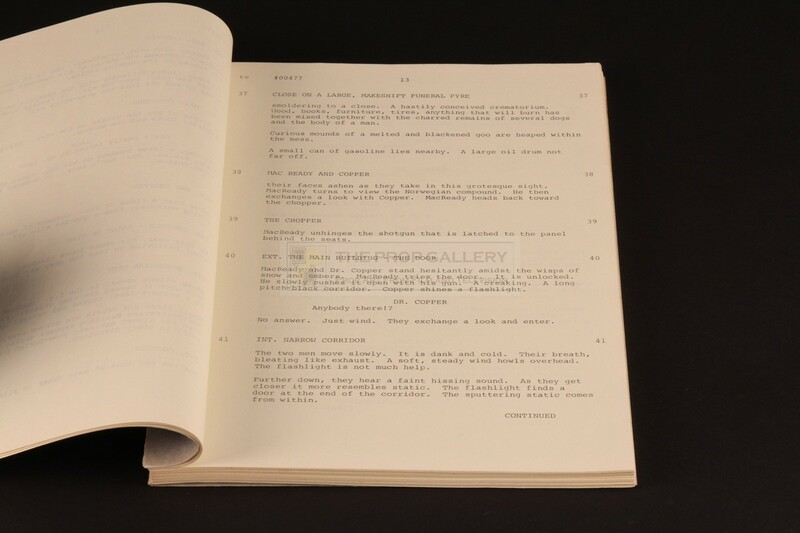 The script remains in excellent production used condition exhibiting only light edge wear and toning, overall very fine. 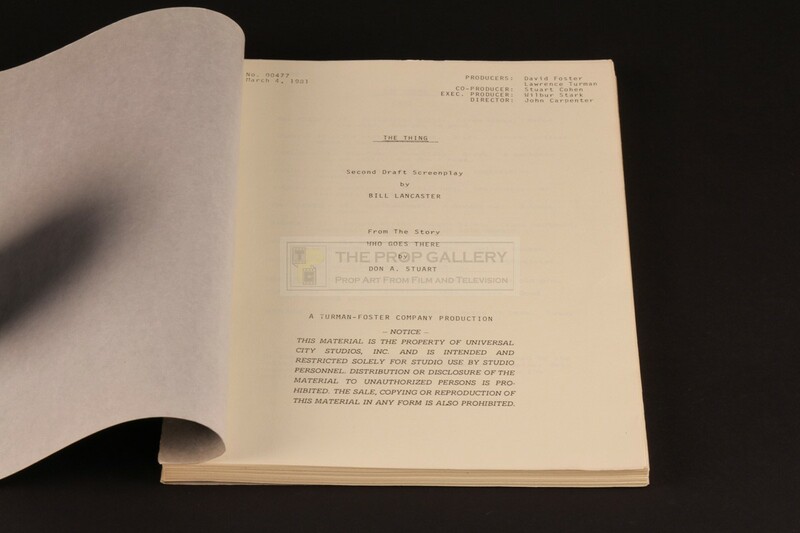 An extremely fine example of original production material from this cult classic of the horror genre.